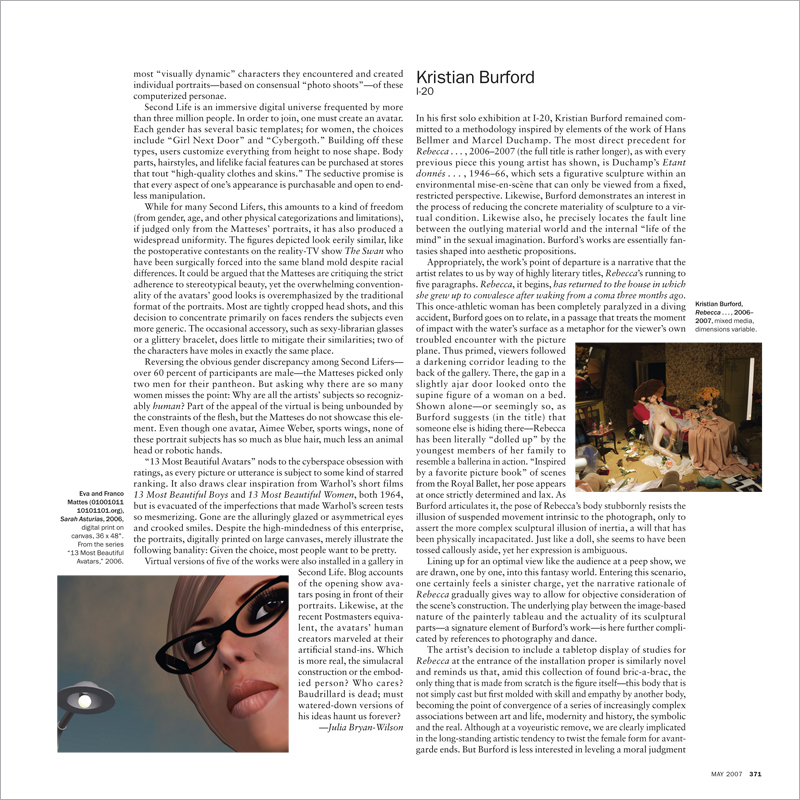 In his first solo exhibition at I-20, Kristian Burford remained committed to a methodology inspired by elements of the work of Hans Bellmer and Marcel Duchamp. The most direct precedent for Rebecca . . . , 2006–2007 (the full title is rather longer), as with every previous piece this young artist has shown, is Duchamp’s Etant donnés . . . , 1946–66, which sets a figurative sculpture within an environmental mise-en-scène that can only be viewed from a fixed, restricted perspective. Likewise, Burford demonstrates an interest in the process of reducing the concrete materiality of sculpture to a virtual condition. Likewise also, he precisely locates the fault line between the outlying material world and the internal “life of the mind” in the sexual imagination. Burford’s works are essentially fantasies shaped into aesthetic propositions.